Our fabrication team stemmed from in-house needs to service our automation division, but now handles jobs for customers all across the region. With capabilities in MIG and TIG welding, plasma cutting, and break press, we have the ability to fabricate custom solutions for your facility. Our certified welding department specializes in TIG and MIG welding for stainless steel, aluminum, and carbon steel. 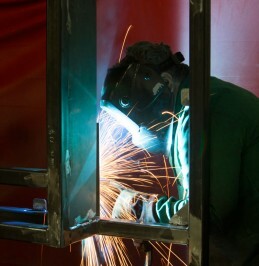 Customers depend on us for fabrication of custom frames, storage racks, and stackable racks, among other custom builds. 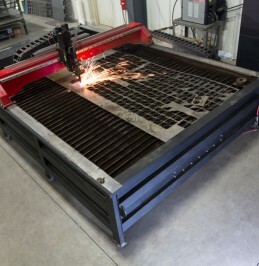 APT Fab department has a state of the art Lincoln Plasma cutter for short and long production runs. This allows us to be the one stop shop for all your machining, fabricating, and automation needs.